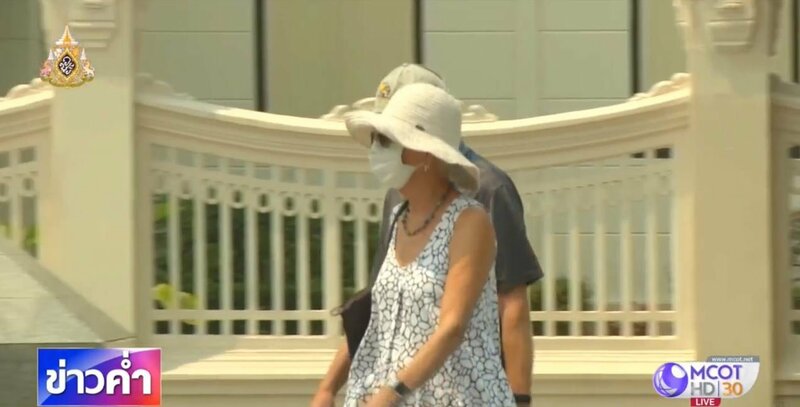 Chiang Mai in crisis: Foreigners give their verdict "terrible and it smells"
Tourists and residents of Chiang Mai alike have told the Thai media in no uncertain terms what they think of the ongoing smog crisis in the northern Thai province. Speaking behind face masks they said that it was terrible and it smells. Particularly badly hit are retirees and children. The damning verdict comes as TNA reported hotel bookings massively down at Songkran with Thais in particular deciding to give the north of their country a wide berth for the holidays. 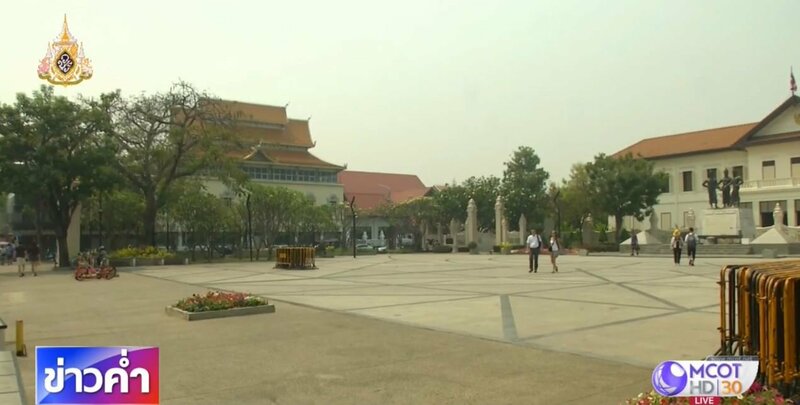 TNA MCOT reporter Praphaphan Lomsri said in her report that Chiang Mai was in crisis as the smog situation has got worse and worse since the end of last year. La-iat Bunsrithong of the Northern Hoteliers' Association told her that hotel bookings were down from last years' 85% occupancy at Songkran to 60% this year. Of this many are Thais. Some 70% of the tourists to Chiang Mai at Songkran are Thai and they are going elsewhere as the news of the PM 2.5 particles strikes home. Some are even choosing going abroad rather than stay in Thailand. The holidays may be cheaper in Thailand but with filthy air far worse than Bangkok why stay, was the message. 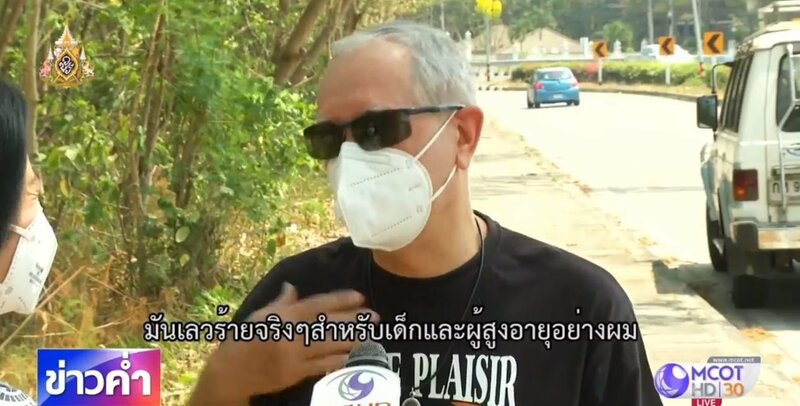 The reporter also sought out a foreign tourist seemingly from Eastern Europe who shook her head and said about Chiang Mai: " "It smells - very much". Another European retiree who said he was a six year resident spoke behind a mask saying: "The pollution is really terrible. It is the first time that we see so much smoke. "It's terrible for children and terrible for old people like me"
Then with an air of frustration he added: "I don't understand why it's so smoky". The reporter hoped that the visit of PM Praut Chan-ocha would lead to measures being put in place to end the desperate situation that she referred to as a crisis for the north. Damn foreigners destroying the pristine reputation of Chiang Mai...…...must be vaping in their rooms to cause all this pollution! Had some friends who were in Thailand for a month and were due to spend ten days in Chiang Mai. They've since cancelled and have gone to the beach instead, for no other reason than they were worried about the air quality and the impact it would have on their young child. No doubt there are plenty more stories like this. Unfortunately it's the Chiang Mai businesses who suffer as a result of the incompetence and unwillingness of local and central government to do anything about this. I guess it will be the old, farang not understand thainess. a mate recently visited me in bangkok, i was surprised by his initial impressions of bangkok; pink taxis and the smell. to be honest i don't notice either. After getting really sick in February and my local doctor saying “from bad air”, we left for Australia for three months. Not to say it is not getting worse each year is a understatement. All the smoke comes from Burma, because they are bad people. What would be nice if this became world news, and they saw a dramatic drop in tourists. That would force them to do something. Thinking of defamation laws I would be very careful and say nothing to the media as a foreigner. Not sure what the point of this comment is. Every Thai I know hates the crappy air as much as the farangs.